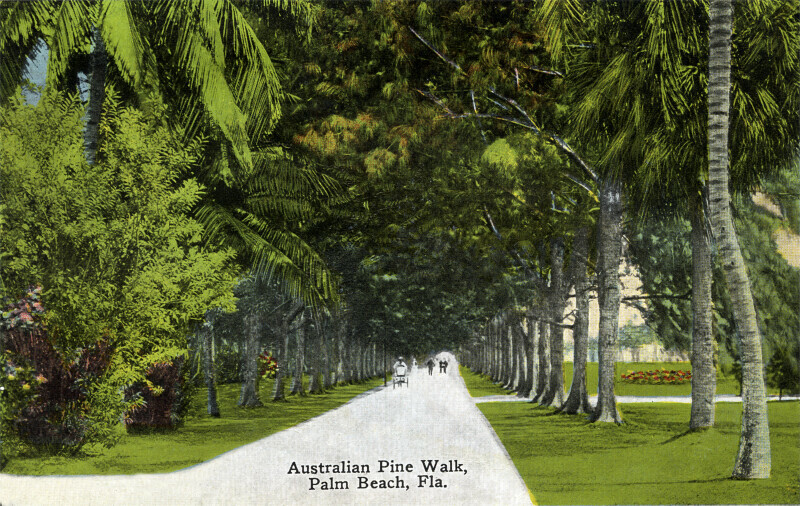 This image shows a paved walkway that is lined, on both side, with Australian pine trees. In the distance, there are people walking along the trail, and one person is pedaling an empty bicycle chair. WARNING: You are about to download a 13.3 MB TIFF!